All football fans who love to game always have FIFA high on their list and FIFA 15 is no different. FIFA Ultimate team which was first introduced in 09, has gained popularity with each coming year. Every player dreams of opening that pack with Messi or Ronaldo just so you can brag to your friends and hey if you get bored of them you can sell them for that hefty price tag people are willing to pay. What impressed me about ultimate team when I started to play it in FIFA 13 was the well detailed market place. Where you spend the coins you earned playing and winning tournaments. Whole guides were formulated on how to make coins via the marketplace and that’s where I spent most of my time. Buying low and Selling high. The motto any businessman lives buy. The amount of players available were astounding. All major leagues as well the smaller leagues were present and players ranging from bronze to gold. With the element of team chemistry I became hooked making my perfect team. Picking the players i loved to play with. I no longer needed other game modes with set teams which had only one player I liked. I was the maker of my team. like career mode but at a much quicker pace. 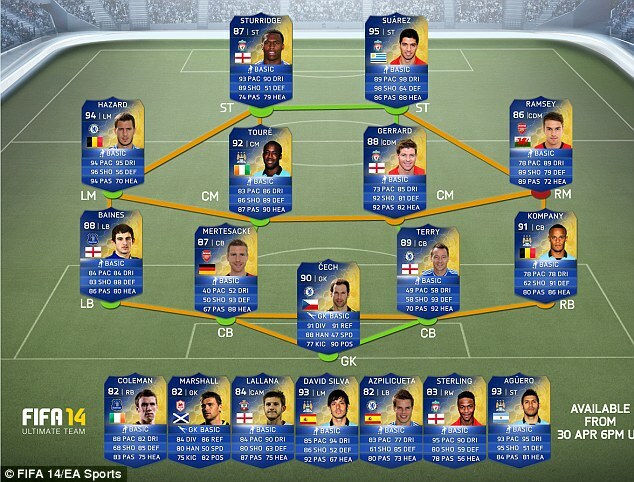 I can’t wait for FIFA 15 Web app to be released so I can create my dream team. Comment below on some of your favourite players.